The River Danube is undoubtedly one of the most famous stretches of water in the entire world. For centuries, people of all cultures have marveled at the sheer size and strength of this European tributary, and indeed, much tourism has occurred because of it. This is why I’m taking the time out today to write a short article detailing some of the most interesting facts about the river and the locations it runs through – hopefully you’ll find the information as compelling as I do. Starting as many smaller streams in the Black Forest of Germany, this waterway soon becomes one before flowing through no less than four different major capital cities and eventually emptying into the vast openness of the Black Sea. It’s total length is somewhere around 2800 km, which is beaten only by the Volga in Russia. Though the river only actually reaches 4 major capital cities, at one point or another it travels through 10 European countries. These are Germany, Slovakia, Austria, Serbia, Hungary, Croatia, Moldova, Bulgaria, Romania, and Ukraine. The capitals reached are Budapest, Vienna, Belgrade and Bratislava. Yes, that’s right, over 10,000,000 people living in the European countries surrounding the Danube get their drinking water directly from the river. Obviously this is cleaned before being pumped through pipes and into the homes of the general population, but still, providing for that many people is startlingly impressive. 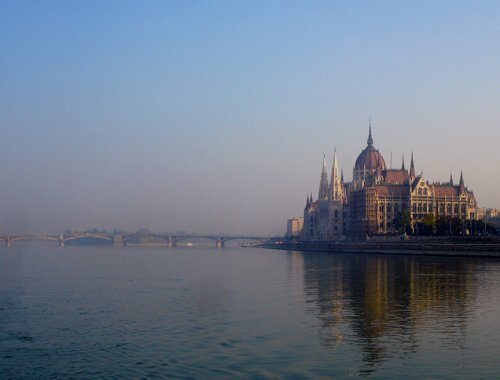 Although the river cuts through 10 different countries, around ⅓ of it is contained within Hungary, which is why many people refer to the capital city of Budapest as the Queen of the Danube. Here you’ll find stunning architecture, all within a naked-eye view of the waterway. The area where the Danube flows into the sea (the delta) is accepted as being the largest on earth, and many experts claim it’s actually still growing. Best estimates suggest this area currently supports over 5500 different species of wildlife, which is why animal and plant enthusiasts come from all corners of the globe to witness the untouched reserve. People who enjoy cycling will be glad to know the river actually has a track running along the vast majority of its length, meaning anyone is free to travel the distance at their own leisure. Also, there are many different camp sites along the route so anyone with the inclination could take a very cheap holiday if they were willing to compromise on luxuries and move via pedal power. So there you have it, that was everything you need to know about one of the most awe-inspiring rivers on the planet. Now all you need to decide is when you’re going to check it out for yourself.